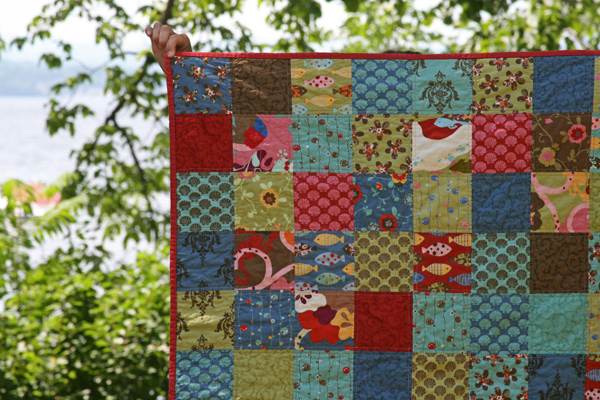 Oh, and the other good thing about these charm square quilts? They’re small and therefore quite portable. And if you know me, you know that I don’t like to waste a moment sitting around without simultaneously working on a project! Handsewing these bindings kept me quite entertained in the car this past weekend! All three are for sale in the shop. 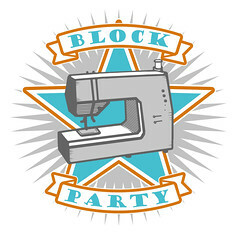 This entry was posted in [search] Charm Quilts, 2010 Finished Quilts, Finished Quilts, Posts about Quilts, Quilts and tagged baby quilt, charm quilt, charm squares, dream on, handmade, momo, odyssea, quilt, quilting, Urban Chicks, wonderland. Bookmark the permalink. I love squares. 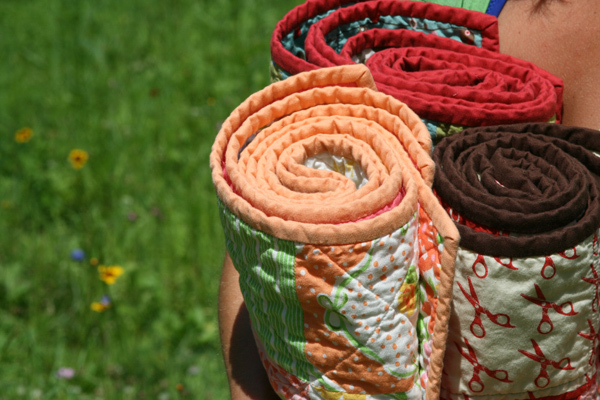 These quilts are pretty! Love them! I’m fond of charm quilts too, just for the fact of the no thought, no fuss sewing. I like charm packs for all the same reasons! And I add 1 more: I get to play with all the patterns within a collection! Love ’em! My quilting friends give me scraps from their larger projects which I turn into 5″ squares which then make dandy little quilts. Very satisfying for all the reasons you mentioned. they are beautiful! love the Urban Chicks Dream … the colors are yummy! thanks for sharing! who makes the fabric with the red scissors that I see in the first photo? I love charm square quilts–sometimes you just need something fast and fun! 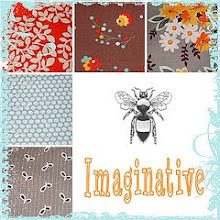 Also, I am smitten with Dream On–it reminds me of vintage sheet prints, which I love! I love the scissors backing! Those charm quilts are great! All very different. The urge to just sew and sew is recognized immediately. The same to me! i love your charm quilts! do you lay them out before sewing, or just piece randomly? i have such difficulty achieving that “randomness” that i love about yours! You just justified my purchase of two Dream On charm packs; thank you! Love the simple quilting on it. Can’t wait to make mine! 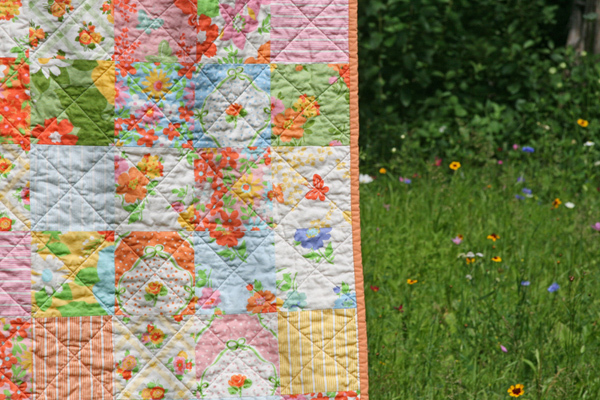 Who could not like charm quilts? Your quilts are wonderful! I agree with Rebecca, I have a very difficult time with randomness. I just finished my first quilt top – out of 1 pack of charm squares and coordinating fabrics, and I love it! I don’t have any quilting tools and the squares are somewhat wonky because it’s hand sewn, but it was the perfect project for the beach and I see many more in my future! love your blog, btw – just found it! Just what I want to do with Dream On! LOVELY! I love these! The new Dream on is so pretty! I can’t wait to get my hands on some! I especially like the MoMo Odyssea quilt. I love charm quilts. I like all of your fabric choices. I definitely need to get some “Dream On”. 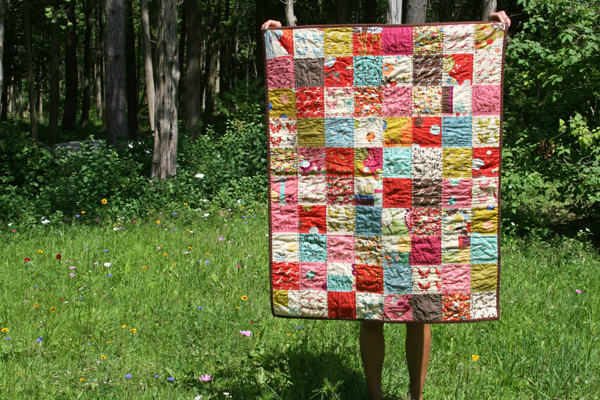 You know what, I like charm squares, and I like these patchwork square quilts you make! I love to sit down and sew just for the sake of sewing too, and this is a perfect way to satisfy that need. Thanks for the reminder to do this! I think we are of similar minds – I just quilted a few charm pack quilts, including just finished sewing down the binding on one made with 2 charm packs of Rural Jardin for my sister. So pretty! It’s a good way to use up some of the charm packs I keep buying and get something pretty and useful fairly quickly. I love the Dream On – I thought Nicey Jane reminded me of sheets from my childhood, but this collection does that even more! They are just charming (lol). I agree sometimes its nice to sew without too muching thinking. They look yummy. I so agree. I think I’m ADD because I hop from project to project. I look at all the great fabs and want to sew with everything at one time. Your quilts are great!